Mention the word Caribbean and most people think of Barbados, Puerto Rico, Antigua…crystal clear waters and white sand beaches. Great for a vacation, but moving there…just too expensive, right? Not necessarily. The Caribbean isn’t restricted to just those few islands. By broadening your horizons, and your perceived idea of “the Caribbean”, you can still find a home at an affordable price. These are places with Caribbean coastlines where you can purchase a house for a lot less money than you’d spend in Barbados, or even the U.S. Places where the cost of living won’t leave you penniless, and where you have every amenity that you have back home. 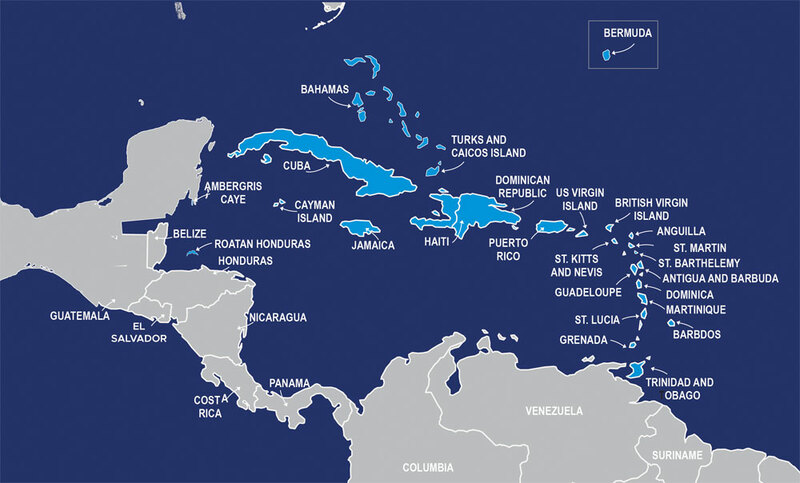 Belize, Costa Rica, and Mexico all have Caribbean coasts. The towns along these coasts share the same turquoise-blue waters and powder-white beaches as the likes of the Bahamas, the Cayman Islands, and every other island sitting in the Caribbean Sea. The advantage though is you don’t have to pay a fortune to live here. And you have all the top-notch infrastructure, great real estate, and stunning beaches that these countries offer.